How do I pay at an online auction? How do I register for bidding online? I want to start bidding, now what? How do I request to bid for an auction? For your convenience, we will email an invoice when the auction is complete. Once the invoice is received, give us a call to make a payment, the phone number will be listed on the invoice. We are open from 8AM-5PM, Monday-Friday; and will accept a check over the phone or fax, wired funds, or credit card (+3% service fee). We will not accept a mailed check. To request wiring instructions or if you have a more detailed question please contact the Steffes Group location that hosted the auction or that is listed on your invoice. 1) Click on either (a) the red "Request to Bid!" button in the individual sale's box or, alternatively, (b) "Register Now" in the Login Box to the right of the screen. Both of these methods will lead to the registration page where registration information can be entered. 2) Required fields are: Name, Email, Password, Phone, Preferred Time Zone, Address, City, State, Postal (Zip) Code and Country. 3) You must read the "Website Terms & Conditions" and check the box to accept before proceeding further. 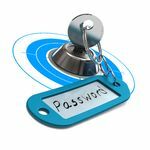 Enter the Security Validation Code and click on the "Submit Registration" button to complete the registration. 4) Once the registration has been submitted, you will be automatically logged in and returned to the auction page. The login box on the right will now say "Welcome (user name)!” along with the assigned bidder number. 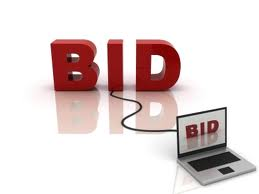 2) "Request to Bid" for the sale you are interested in. 3) Accept Auction Terms for the auction. 4) Once you are Approved to Bid, click on the "Enter Auction" button (will appear in place of Approval Pending text). You will now be directed into the Auction. After entering the Timed Auction, the lot listing will display and you can then click on the "Place a Bid" button for the lot that you want to bid on. When selecting the lot you would like to bid on, a window will open with the starting bid for that lot and a box, which will allow the entry of a maximum bid. This procedure can be followed for each lot you are interested in bidding on. 1) Register an Account. If you are already a registered bidder, sign in to your account using the Log-in Box. 2) Once Registered/ Logged In, click on the "Request to Bid" button located next to the auction you wish to participate in. 3) Accept the Terms and Conditions and wait for your "Approval Pending" status to be approved or declined. Make sure you have complied with the Steffes Group, Inc. company’s approval requirements to expedite this process. IF APPROVED- Once approved (and after you accept the sale's Terms and Conditions), you will be able to Enter the Auction once the auction is open. IF DECLINED- You have not been approved to bid by Steffes Group, Inc. If you feel this is an error, please contact 800-726-8609. 4) REMINDER: You will also receive an email informing you of your approval status as soon as a decision is made by Steffes Group, Inc.
Bidding Extension: If bidding extension has been implemented, the closing time of a lot will be extended if a bid has been placed within the last few minutes of an auction. The time of the extension is based on the auctioneer's preference. 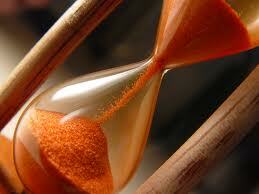 The bidding extension process will continue until there is no bidding activity within the allotted time period.